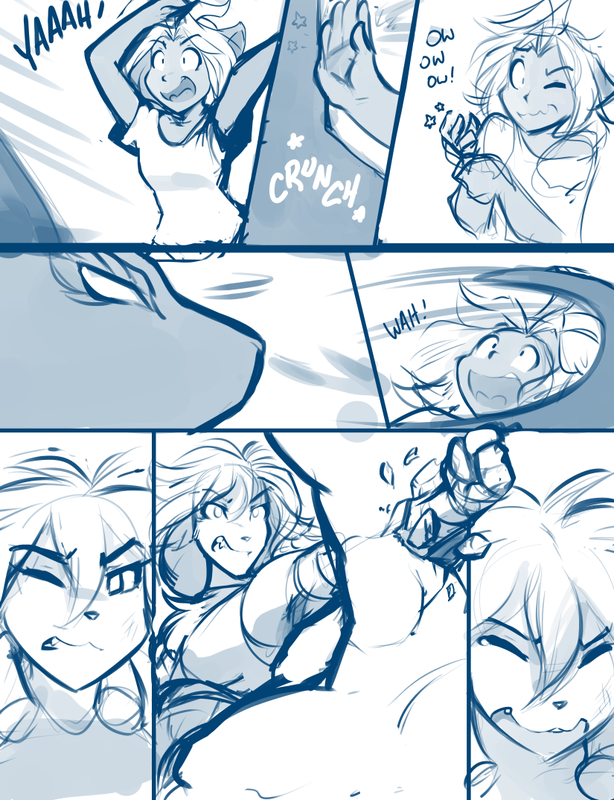 1053: What Would An Adelaide Do - Twokinds - 15 Years on the Net! Karen: Hey Scaly! Over here! Yaaaaah!! Madelyn: Karen… you idiot, just run! Ergh, think, Maddie! This trap wouldn’t stop mom. What would she do in this situation? Madelyn: Yeah, probably… Okay, now what am I supposed to do in this situation, damn it!